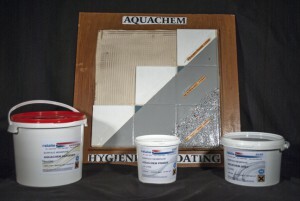 Rotafix Aquachem is a high performance liquid applied damp proof membrane. The 3-coat Rotafix Aquachem system creates a damp proofing membrane that provides both positive and negative water pressure protection making it ideal for use for tanking cellars, water tanks and swimming pools. Being solvent free Rotafix Aquachem is safe for catering, medical, marine applications and even for potable water storage solutions. 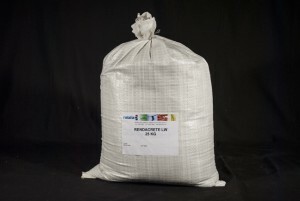 Rotafix Rendacrete Lightweight (LW) Concrete Repair Mortar is a mixture of cements, aggregates, accelerators and polymers. 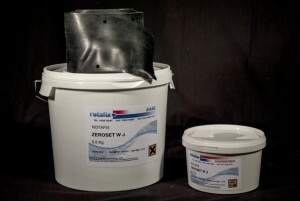 LW is ideal for the repair of concrete and is used in conjunction with Rotafix P12 Primer. 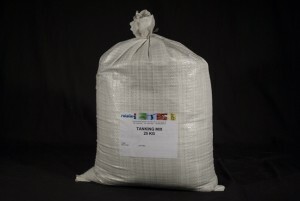 Rotafix Rendacrete Tanking Mix is a cementitious waterproofing compound containing a blend of special cement powders, fibres and admixtures. Rotafix Rendacrete Underwater Mortar is a cohesive specially modified powder that when mixed with water and will not bleed . 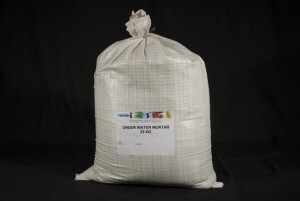 It is a cementitious high strength mortar suitable for underwater repair of lock gates, stone and masonry wall structures. 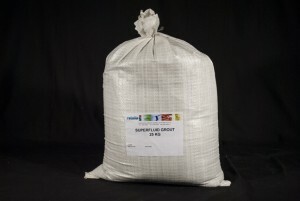 Rotafix Rendacrete Superfluid Grout is a pre-packed, pre-weighed powder that, when mixed with the specified amount of water, produces a non-shrink high-performance flowable grout for establishing firm foundations under machine beds. Rotafix Zeroset Anchor Grout is a 2-part high strength epoxy system which is used for the fixing of metallic objects into concrete. Rotafix Zeroset Anchor Grout has been specifically designed for setting at low temperatures in smooth walled diamond drilled holes. 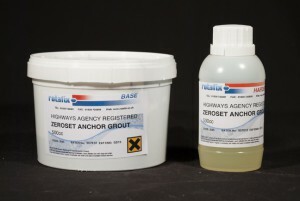 This high performance chemical anchor adhesive has been approved by the Department of Transport for parapets and street lighting. Rotafix Zeroset T Is a thixotropic, structural two part adhesive based on a combination of epoxy resins and special graded fillers, designed for the bonding of timber, concrete and masonry. Rotafix Zeroset T is commonly used in combination with hypalon synthetic rubber to form horizontal and vertical flexible joints in basement tanking solutions.